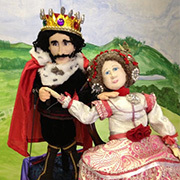 The Arts on the Lake Puppet Theater Group was formed in the Fall of 2012. The group performed Chaucer’s The Canterbury Tales in 2013 and a series of narrative poems in Puppets in Peril in the Spring of 2015. Contact Mary Schreiber mschreiber59@gmail.com if you would like more information. From left to right: Daniella Esposito, Kathy Burke, Jackie Rohrig, Sandy Toich, Kate Mackie, Stuart Mackie, Tore Heskestad, Lisa Ameijide, Leno Toich, Suzanne Bohmer, Debbie Poe, and Mary Schreiber.